Millvale, PA is just across the Allegheny River. Steve and I eat out at Grant Bar Grant Avenue some nights. If you follow the blog you’ve been to Millvale with me, Jean-Marc Chatellier’s Bakery for Brioche, Esther’s Hobby Shop, Attic Records, the high water mark from the floods. We popped into the Panza Gallery and saw some friends and acquaintances and checked out the new work show by Brian Lang and Susan Sparks. I’ve posted some photos of Panza’s. 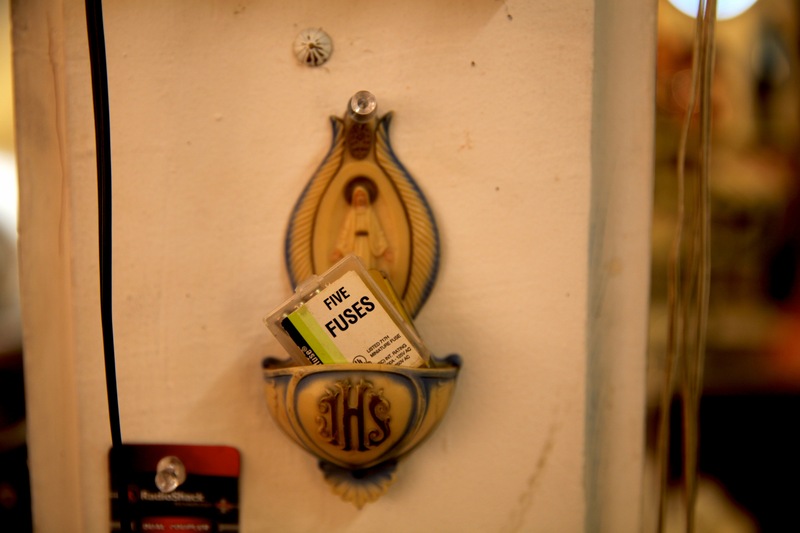 While chatting with Mary Ann, I asked if I could photograph the ceramic holy water font where this package of fuses got placed. Just as it was. When Mark was finished with his conversation, he concurred that I could photograph this find. Thanks Mark and Mary Ann. Coming up in February and March, Panza will host programs on the artist Maxo Vanka Murals housed in the St. Nicholas Croatian Catholic Parish on the hill. 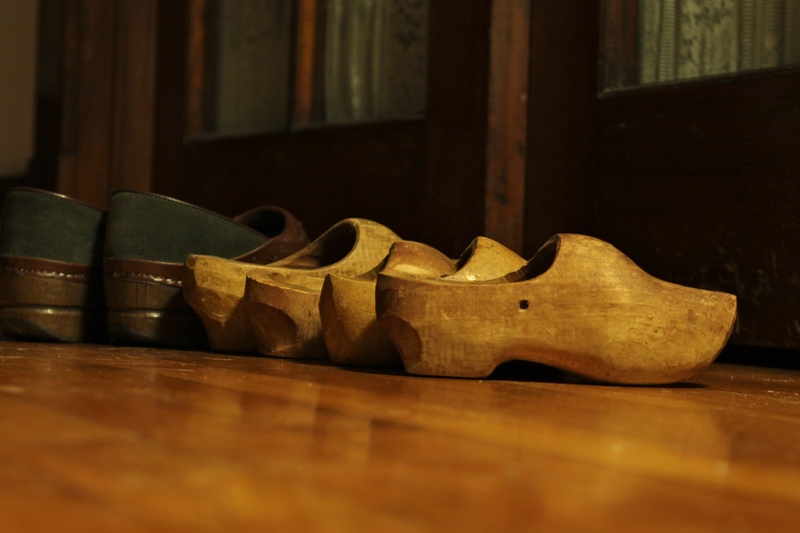 No hay or carrots to leave in the wooden shoes for St. Nicholas’ horse tonight. My father brought these shoes back from the Netherlands sometime after WWII. I dusted them off as they sit by the fireplace, untouched. When we lived in Germany, St. Nicholas came through the neighborhood, bringing candy and little gifts for the children. Matthew’s Kindergarten made a St. Nicholas by drawing a face on a walnut and sticking it into an upside down red apple, connecting it with a wooden toothpick inside. The nut had a foil bishop’s mitre on top, and a fluffy cotton beard. His story tells of a compassionate and generous man. I wonder if there will be chocolates and sweets in these shoes tomorrow morning.